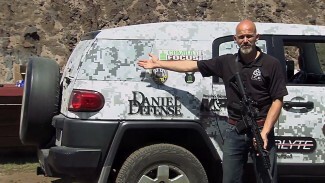 Watch even more great videos when you become a Personal Defense Network Member! Rob Pincus has been talking about the balance of speed and precision in his intuitive defensive shooting courses for almost two decades. In this video, he presents a diagram that students find helpful in understanding the concept. 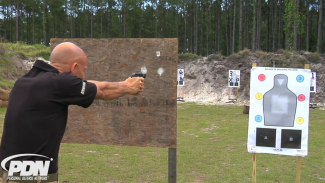 Twenty years ago, Rob started off by talking about the balance between speed and accuracy in shooting as one of the basic self-defense concepts and that involved the way we thought about accuracy being a yes or no proposition. The variable is the amount of precision demanded of you by any specific situation. The speed at which you shoot is determined by the amount of skill you need to apply. Over the years, Rob has talked about the balance of speed and precision conceptually, tweaked the definitions of the terms, and gotten the explanations refined for the lecture portion of his classes. But a few years ago he started using a diagram to illustrate what he means by balancing speed and precision. What affects how hard it is to make the shot? Your precision level is demanded by many factors: the bad guy, distance, circumstances, what gun you have, lighting conditions, whether you’re shooting one- or two-handed, how much practice you’ve had. All these things affect how hard it will be for you to get the shot. Use this diagram to think about what your performance on the range was: If your groups are large, did you misapply your skills or misunderstand the need for precision? If your groups are very tight, did you misunderstand the need for precision or are you being underconfident and not assertive enough in applying your skills? Here at PDN you’ll find videos and articles on this important concept, plus hundreds of other personal defense training videos. Great video and content. Very educational and will be utilizing it in my practicing. I like the way he explained the balance as a total score. I think that one thing he could get into more is that different people have different abilities. While one person can shoot at a combined 10, another may be capable to perform at only a 6, and another at a 14. I was taught, and it makes more sense to me that the farther away the shot then the more precision/skill you need. Rob Pincus dispels the theory that a 22mm snub-nosed magnum is preferred over the 38mm option. 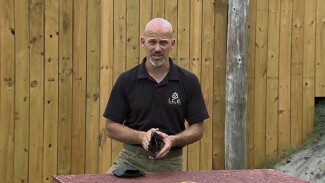 Rob Pincus explains the advantages of a muzzle low ready position, especially in an extreme close quarters situation. The low ready position allows for more efficiency and consistency when moving into a shooting position and for dramatically more control if your rifle is ever grabbed by an attacker. Rob Pincus shares how to use the Laserlyte 380-P Training Laser to safely practice presentation of a subcompact defensive pistol from deep concealment.